525 UK medical students participated in our extended survey between 22nd October and 8th November. The survey was circulated via a number of University MedSocs and related societies in England, Northern Ireland, Scotland and Wales. The RMBF also promoted the survey heavily via social media to help reach a good cross-section of medical students. The survey questions were designed with the help of our Medical Student Advisors who helped to identify the main issues facing medical students. The statistics in bold are from an independent survey of 100 medical students, which was commissioned alongside the Med Students Matter campaign. 93% of respondents think they made the right choice studying medicine. 94% of those surveyed intend to work as a doctor after completing their studies. 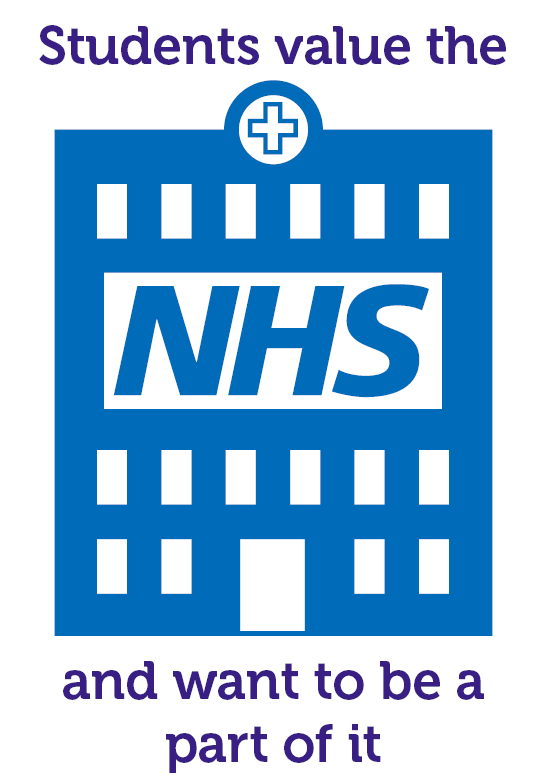 The NHS is very important to 90% of respondents and 85% intend to work in the NHS on completion of their studies. 78% of respondents feel that their perception of the NHS working environment has changed since beginning their medical degree. For 59% it is more negative and for 19% it is more positive. The largest single factor influencing perceptions, both positive and negative, was consultants/staff during placements (82%). 68% of those surveyed said that there were costs involved in studying medicine that they hadn’t anticipated before they began their course. 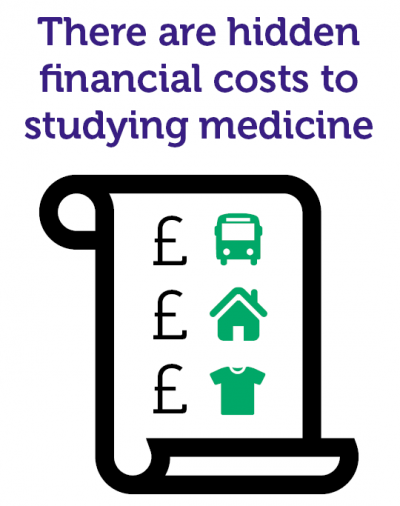 The costs that have been particularly difficult for respondents to meet during their medical degree included: transport (55%); cost of living/travel whilst on placements (49%); accommodation (48%); professional clothing (39%); conferences (34%); and textbooks (31%). 52% of respondents rely on self-funding via part-time work to help cover their cost of living while studying, and 35% on self-funding from savings. 65% of students surveyed rely on financial support from a parent or guardian. 60% of students surveyed have experienced financial pressure during their medical degree. Of those students that we surveyed that had experienced financial pressure, 65% felt this had affected their mental health and wellbeing, and 47% had experienced changes to their personal or family situation that resulted in increased financial pressure. 41% of all respondents say that they or someone they know have considered withdrawing from their medical degree as a result of financial pressure. 68% of students surveyed have experienced mental health pressure during their medical degree, yet 50% say they would have concerns about seeking support for mental illness as a medical student. 59% of respondents also think that medical students and doctors are unable to seek support for mental illness without risk of stigma. 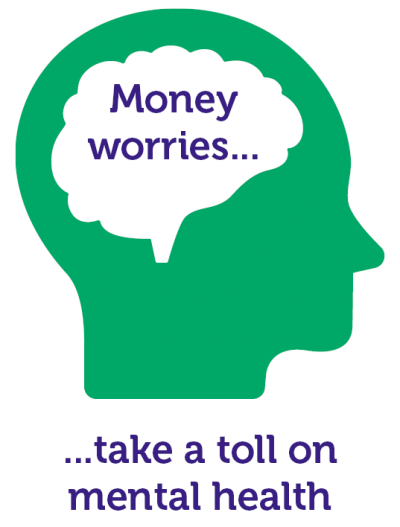 In our survey, nearly two thirds of students who'd faced financial pressure told us it had affected their mental health. Help us ensure that students facing hardship can make it through to qualify as the next generation of doctors.